I love stationery and having a fresh note book to jot all my ideas down. I have a selection of pens too which are a must especially for filling in my many journals, diaries and planners. Ryman got in touch to ask if I was interested in choosing a bundle from their personalised stationery range, so I said yes as I could do with adding some new items to my stationery collection. One of the items in the bundle I got to chose is a personalised mug. I thought it would be great to put away for Blake for when he is older. I have many personalised mugs myself so felt it was fair for Blake to have his own too. The mug is white ceramic with black font where you can customise with an initial and name. I love the style of the font used on the mug. The second item is a engraved ballpoint Parker pen. I've never owned a Parker pen before however I love the high quality design. The pen features a retractable medium point and blue ink. You can choose the colour of the pen ( not the ink) from the range on their website. I chose the blue with it being my favourite colour however it comes in purple, red, orange and black too. The pen arrived personalised with my name as you can see in one of the below photos and was also in a gift box. 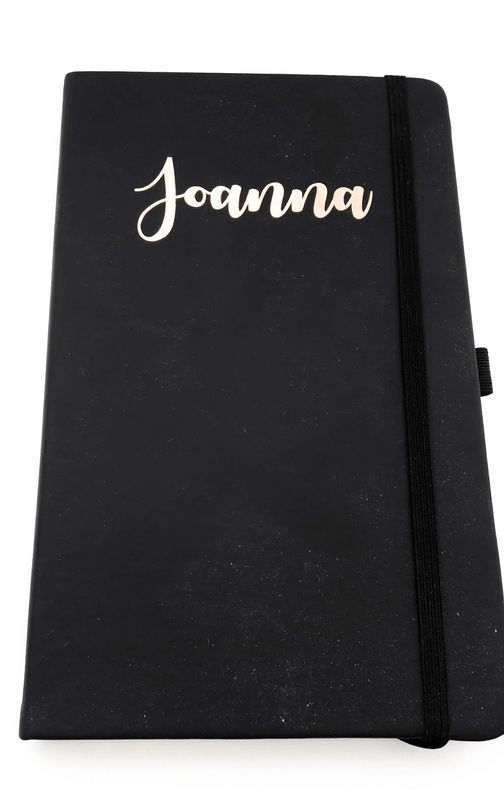 Last of all from the bundle is this gorgeous personalised notebook. The notebook has a soft cover and features an elastic clouser. 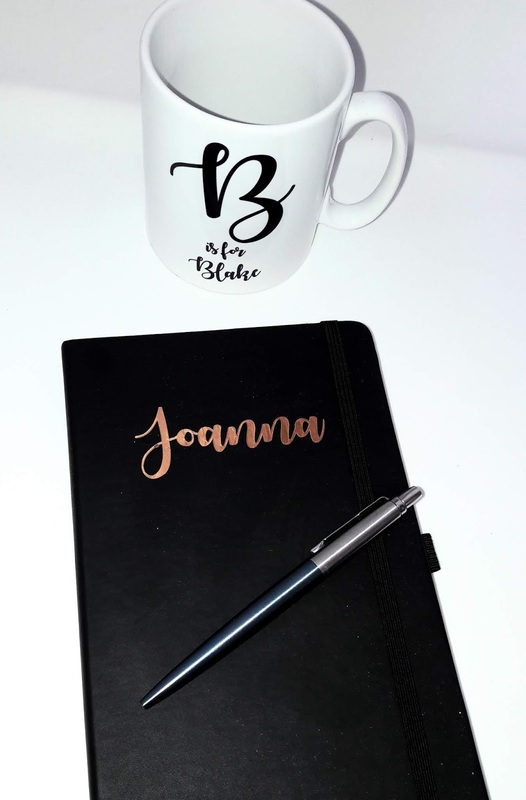 The notebook is personalised with your choice of text up to 20 characters which is in foil copper. There are 96 sheets of ivory lined paper and a ribbon bookmark which is a great added touch. I think the personalised range from Ryman make great gifts for writers and stationery lovers. They are the ideal gift for a specific occasion such as birthdays to make someone feel special. If you are on the look out for gift inspiration than check out Ryman's full range of personalised items.